We specialise and pride ourselves upon delivering bespoke insurance solutions to various types of Motorsport businesses. We work closely with our global partners, and through our knowledge and experience in the industry we are able to offer an exceptional service to our clients across a number of different products. We cover accidental physical damage and fire, offering replacement to the shell, engine and transmission, wheels, and any fixed mechanical componentry contained in the vehicle. We rate on rate on experience, location, vehicle value, and type of event. We can cover loss or damage to your team’s vehicles and equipment in storage and to and from events worldwide. We can cover loss of sponsorship and loss of appearance fees, offer key person coverage, and assist you with business continuity planning in any outcome. We can cover all employees associated with the team from the drivers to mechanics. We can offer liability cover for incidents occurring on track causing injury to a third party or damage to third party property. Note this does not cover damage to other drivers or vehicles. We are experienced in understanding the exposures that running an association, race league or governing body can bring and have a comprehensive range of solutions to deal with these. DOWNLOAD a brochure to learn more about Motorsport Policies available at Shepherd Compello, or contact our Broker Ashley Mills to request a quote. Shepherd Compello broker Ashley Mills works across Extended Warranty & GAP, Motorsport and Residual Value insurance policies. 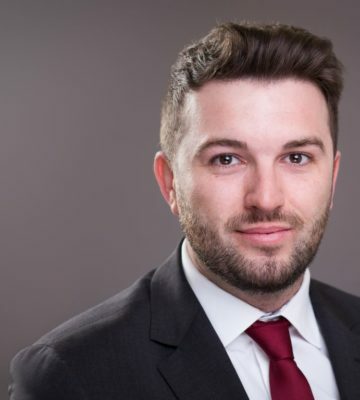 He is also a BIBA Young Broker Ambassador for London and Central Region.